Google has created an App called "Find my phone", this App will help locate lost phones by typing "Find my phone" into Google search on any browser. This feature comes as part of My Account, a hub that allows users access, control and protect their data and privacy on their devices. My Account has been available to Android users since its launch a year ago. 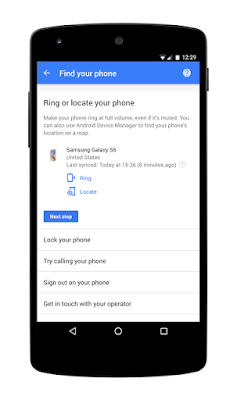 Additionally, users will also be able to login to their My Google Account to lock, wipe phone data, contact carrier, call back a number, and leave a message or even logout of all accounts. 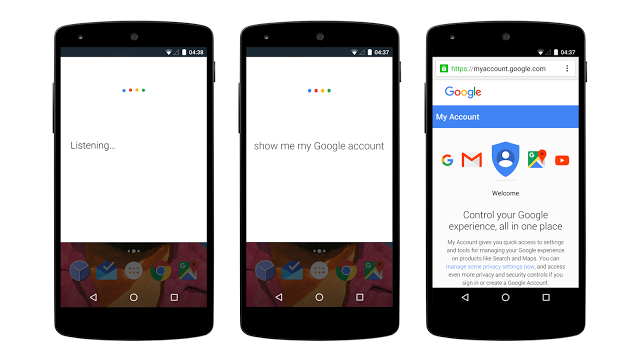 These revelations were made last Wednesday in a post on Google’s official blog page, as they celebrated the first anniversary of the My Account App. According to Google, the App has already been used by more than one million people worldwide.